painting goofs | Odd Job Handyman Services, Inc. Almost everyone has tried painting their walls, or perhaps their fence. Many of us didn’t have much of a choice in the matter. Many of us don’t realize that it isn’t as simple as it looks in The Karate Kid. 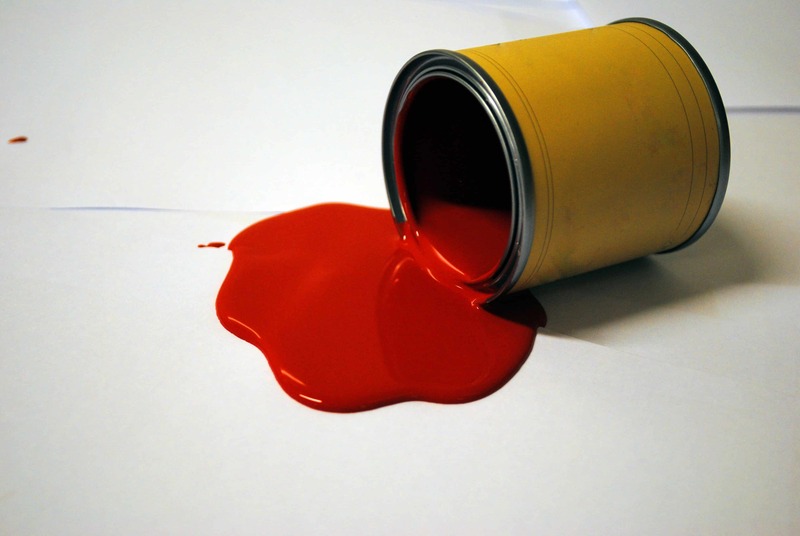 There are pitfalls – common ones – and the purpose of this article is to help you avoid committing what we have termed painting goofs. This, friends, is a painting goof. There’s an old phrase: “Garbage in, garbage out.” Traditionally, this old truism applies to the input of incorrect information into a computer. What do you think happens when you bring the wrong materials to a project? That’s why one of the worst painting goofs – and the first we’ll look at – is choosing the wrong paint. Every amateur has done it or can reasonably expect to at some point. As it turns out, selecting the right paint for your project involves a lot more than your favourite colour. Many factors come into play – for the purposes of this article, we’ll take a look at two of them. Did you intend a darker colour for that wall? Don’t just splash on the black. It’s not going to look right. You need to warm up your walls with a tinted primer – we recommend gray, which will serve you quite well under most darker coats. Cover all your bases and check with the folks at the paint store, though – tell them your project and they’ll know exactly what product you should use. Are you painting over a wall that has seen years of food stains, scratches and even remnants of graffiti left by the little ones? Do not use a high sheen. 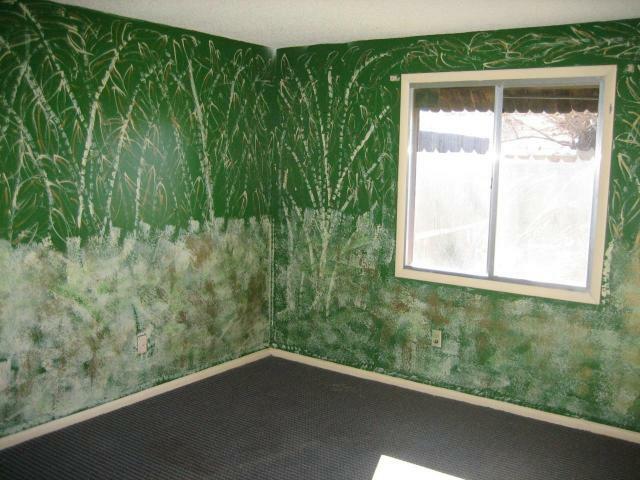 Many amateurs make the mistake of thinking that they can hide the rough history of their walls in a sea of gloss. It’s actually the exact opposite. See the beautifully glossy sheen on the wall to the right? Would you want it shining like that if it was covered in scratches and stains? The moment natural light touches your ‘gloss-washed’ walls, the ramifications of your painting goof will become all too clear – just like every scratch, scuff and stain. 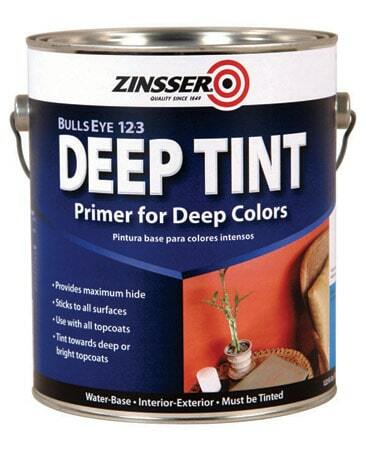 A high sheen will highlight your wall’s blemishes. Save the gloss for walls that should shine! To fully explore all of the ways you could choose the wrong paint would require several articles. In summary, the amateur painting technician is walking into a minefield of painting goofs. If you aren’t fully confident in your talents you might want to call or book your friends at Odd Job. We have a painting services division composed of expert technicians who specialize in painting interiors, and you can trust them to choose the best paint for your project! One thing that The Karate Kid can teach us about painting, and it is that patience is key. There are a number of tedious processes that come before brush meets wall – and those processes themselves all have their own rulebooks. Whenever you marvel at a beautifully painted surface, know that a lot of time, effort and frustration were sacrificed for it. 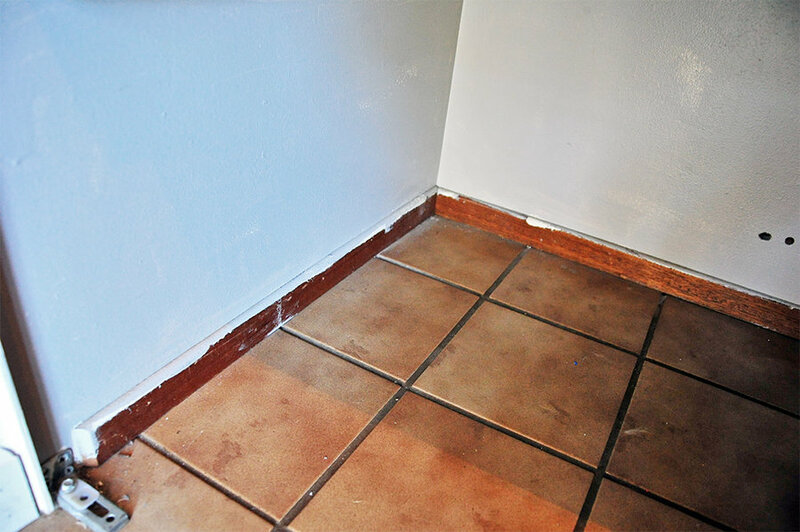 For a professional painting services technician, cutting corners is anathema – worse, it’s a huge painting goof. The number of treacherous shortcuts that tempt the amateur painting technician is another subject for several articles, and many of them present themselves before the brush has even been picked up. In many cases, that’s precisely the problem. If you want your walls to look like the kind you’ve seen on television, there is absolutely no substitute for washing, patching, caulking and sanding. Even rushing through a task like mixing the paint can result in disaster. There’s no two ways about it: skipping to the fun part is a painting goof and one that will always result in a below par project! No one likes messes. They’re a major pain – and in many cases not easily reversible. 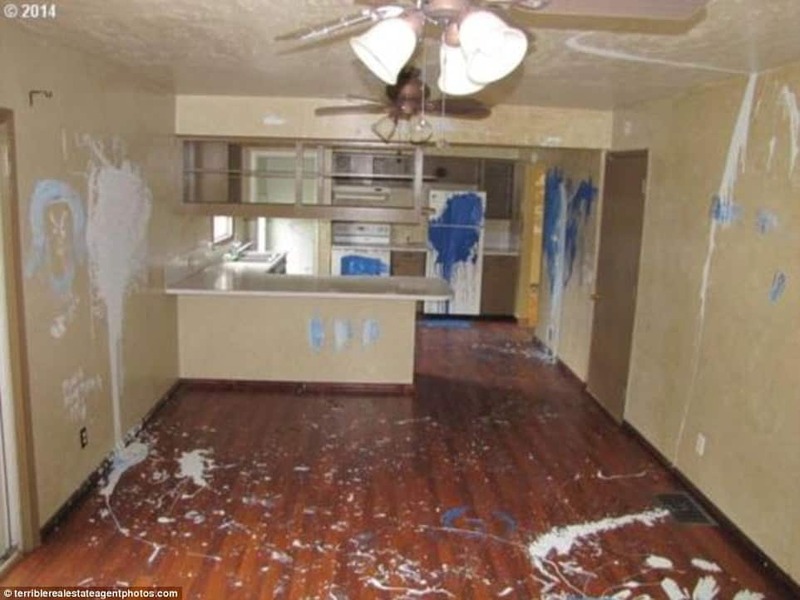 Painting is an inherently messy trade, and everyone knows that accidents happen – most major mess-ups in this area, however, are preceded by colossal painting goofs. Some of these are fairly basic. Don’t paint from the can. It’s really the painting services equivalent of drinking your orange juice from the jug, and with much worse results. You creating a very real possibility for that can to be knocked over and for the next few hours of your life to be spent trying to clean up a gallon of very expensive paint. Furthermore, your brush will almost always pick up far too much paint when you dip it into that can, and that makes for a much messier project. This kind of painting goof scars the amateur for life. Always protect your baseboards with masking tape. The best painting technician in the world will leave spatters of paint on the baseboards if they aren’t first masked, and an amateur armed only with knowledge from The DIY Network is going to fare far worse. We recommend a strip of 2 inch tape for each baseboard. This should shelter them from the fallout of your project. Wait for one coat of paint to fully dry before painting another. Applying a new coat over one that is only partially dry will loosen the latter coat and cause some of it to come off onto the brush or roller. The result of this is a big mess and a big painting goof. You don’t need to be an expert to dodge this one, though – just consult the drying instructions on the back of the can and remember: patience! Never let your roller touch the floor in areas where the baseboard has not been installed. You don’t need to paint that part of the wall – the baseboard will beautify it for you. When your roller is that close to the floor, you are running the risk of picking up dirt, hair and a variety of other things that you don’t want in your finish! This article could have been a lot longer – and I mean a lot longer. There’s no beating around the brush (sorry) – an amateur is no substitute for a professional painting technician. This isn’t to say that you or your neighbour’s friend can’t paint a wall right – it’s to say that the amount of research, preparation and more make it much less fun than it looks. 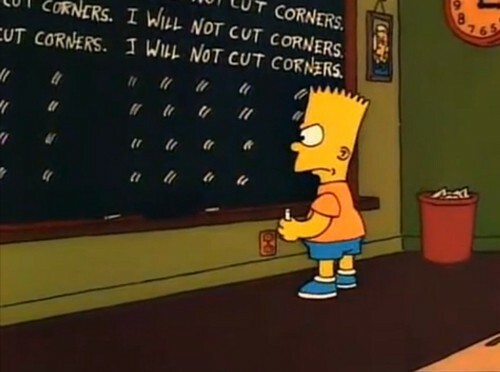 But that’s where we come in! One of Odd Job’s mottos is: “You can do it yourself, but you don’t have to.” Odd Job exists to make your life easier. Give us a call at (416) 520-1161 or fill out our nifty “book-a-handyman” form and schedule your visit today!